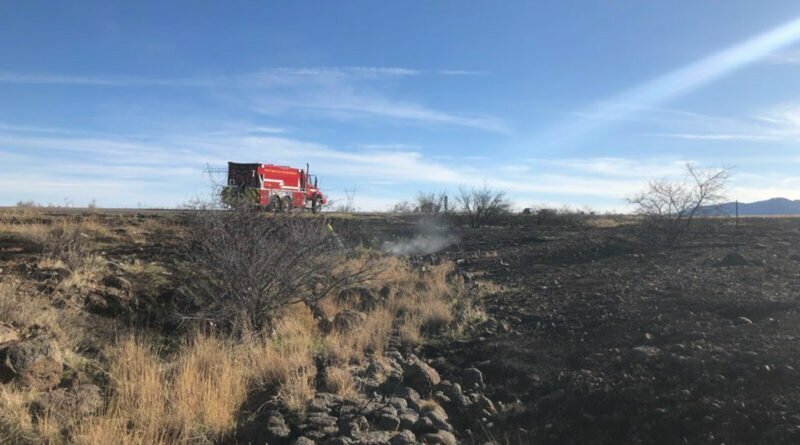 UPDATED 6:13 p.m. — Crews responded to a brush fire near the I-17 Bumble Bee exit sometime around 3 p.m. Friday that has since forced closure of southbound lanes. The fire was about 8 miles north of Black Canyon City. By around 4:45 p.m. one southbound lane was moving through, but at about 6 p.m. there remained a 15-mile backup, ADOT said.